At the risk of sounding like a complete cliché and ripping the quotes of other critics, let’s get the superlatives out of the way. 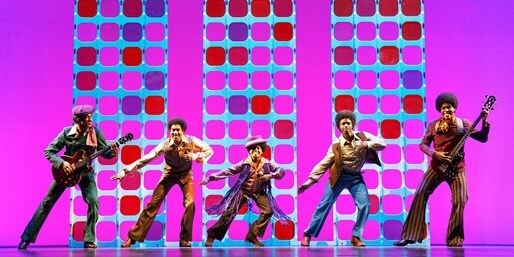 Motown: The Musical, in a limited run at The Bushnell in Hartford is nothing short of superb, stunning, fantastic, and a tour de force. It’s everything a Broadway musical extravaganza should be, sprawling, epic, dynamic, with great singing and choreography, vibrant costumes, a non-stop, pulsating celebration of art that gets the audience clapping and ultimately on its feet. 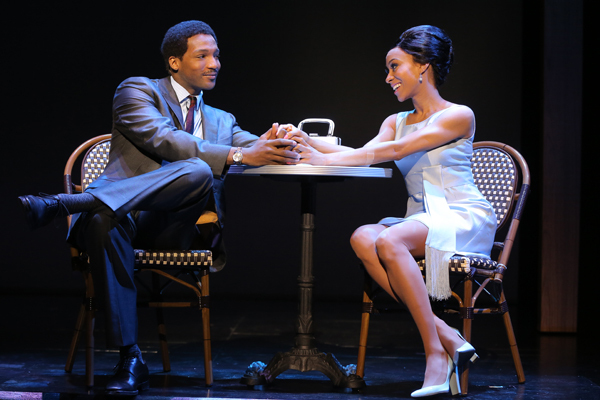 Under Charles Randolph-Wright’s amazing direction, Motown is all of the above and more. 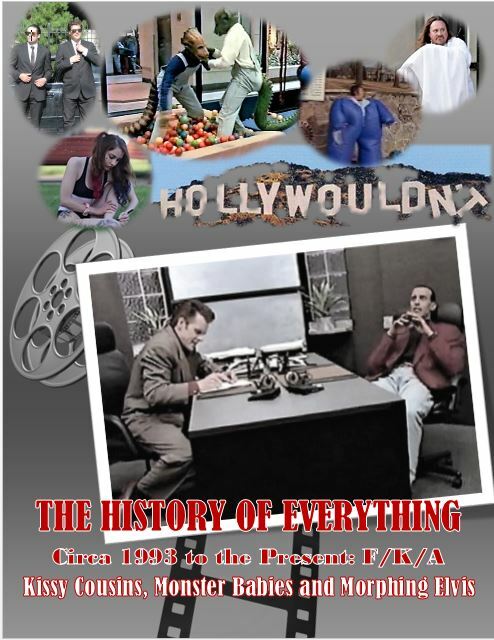 It is a genuine time portal to a significant epoch in American history. 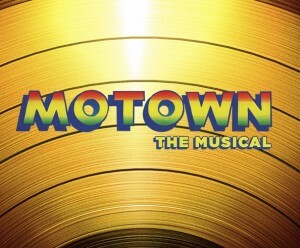 Based on a book by Berry Gordy (the founder of the independent music label Motown), the play covers twenty-five years, 1958 to 1983, and details the rise and fall of Motown as well as the relationships that made the label into one of the most powerful independents of its day. But the play acts on a much deeper level – providing not only a piece of genuine Americana, but a look back into turbulent times and all of the good, the bad and the ugly that accompanied them. Maybe I’m just getting old, but it was somewhat of a weird feeing hearing a great Motown hit that I grew up listening to like “I Can’t Help Myself (Sugar Pie, Honey Bunch)” and seeing a news reel clip showing segregation in the south with signs designating ‘for whites only.” It’s hard to believe that that ugly period of history was in my lifetime. And that is why Motown is so important – not only as great source of entertainment, but a reminder of what the struggle for freedom and equality costs (one that is still going on today). 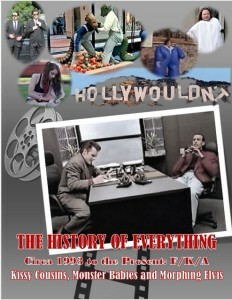 The entire cast represent triple threats in terms of acting, singing and dancing. It is hard to believe that one cast can have that much talent. Chester Gregory as Berry Gordy is awesome. Allison Semmes’ portrayal of Diana Ross is captivating. Jesse Nagler and Jarran Muse channeled Smokey Robinson and Marvin Gaye, respectively. A special shout out must go to Leon Outlaw, Jr. who played Young Berry, Young Stevie Wonder and – incredibly – Young Michael Jackson. While the rest of the cast is too large to name individually, suffice it to say that the show, like the real Motown, was a family (as Berry Gordy says in the notes) and their talent is a key contribution to the overall success of the show. Of course, one of the biggest stars of the show is the Motown catalog. Like the cast, the music is far too lengthy to mention individually, but each tune brought me back to a specific time and place in my life. I can still remember the three-quarter blue 45 RPM label with the map of Detroit and ramped yellow MOTOWN logo the top. Motown’s legacy of songs which include hits like “My Girl,” “My Guy,” “What’s Goin’ On,” “I Hear a Symphony,” “I Heard It Through the Grapevine,” “Ain’t No Mountain High Enough,” and countless others are embedded in our history and culture. The audience could not help but clap and sing along. Motown: The Musical is great theatre. But it is also emblematic of and personifies the American Dream where a kid from the streets of Detroit like Berry Gordy can have a dream and a vision and make them a reality. A line from the play is “perception unchallenged becomes reality.” Berry Gordy and Motown changed the perception of music by elevating it beyond color and gender biases. Motown is about America. It is about us. 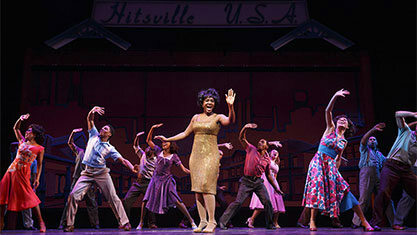 Charge your motors, put on those dancing shoes, and head on down to The Bushnell in Hartford for Motown: The Musical! Part of their Broadway Series, Motown, with book by Berry Gordy and music and lyrics from the Legendary Motown Catalog is a smashing, energy-filled, jukebox showcase of Berry Gordy’s extraordinary and celebrated rise to become one of the most important figures in the music industry and the most successful black music company owner in history. From the moment the lights begin to flash behind the big “M” emblazoned curtain, you know you’re in for a thrill. And like an amusement park ride, it never ends from start to finish with heart-thumping, soul nurturing, recognizable tunes from Smokey Robinson, Marvin Gaye, Diana Ross and the Supremes, The Temptations, The Four Tops, Gladys Knight and the Pips, The Commodores, Stevie Wonder, The Jackson Five, and the list goes on. 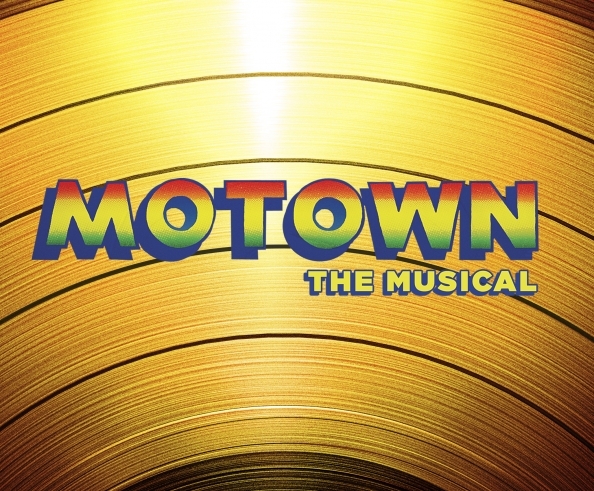 Motown: The Musical is based upon Gordy’s 1994 autobiography, To Be Loved: The Music, the Magic, the Memories of Motown, which premiered on Broadway in 2013. The story delivers the highlights of Gordy’s trajectory from downtrodden, divorced, but dream-filled auto worker to music mogul (with a flash back to his Joe Louis-adoring youth). Over approximately two hours and 45 minutes, we watch him mold the careers of countless R&B and pop stars, punctuated by the effervescent music of the time. Gordy’s book speaks mostly to the highs of his career and his love for Diana Ross, but doesn’t shy away completely from the lows – the financial struggles, the mutiny of many of his mega-stars who eventually sought more money and fame from other music companies, the ultimate decline of Motown Records, and we even get a peek into his poor bedroom performance. What’s more, the show brings to the forefront the unity of blacks and whites during turbulent social and political times – bridging lives during the Civil Rights Movement with humankind’s common love of music. It also highlights important historical moments such as the assassinations of John F. Kennedy, Martin Luther King, Jr., and Robert Kennedy, and the Vietnam War. The pace is super-fast and there are nearly 60 musical numbers, many of which are not sung in their entirety, but instead are clipped to become part of the “book.” There may be too much to take in at times, but overall it is incredibly engaging and it’s the music that counts – and that’s ultimately the legacy of Berry Gordy in one unparalleled nutshell, isn’t it? The exceptional ensemble cast handles it all well, seamlessly and creatively moving about the countless scene changes with the almost continuously shifting sets that are masterful and wholly dynamic. Broadway and national touring vet Chester Gregory delivers a wonderful performance of Gordy as the man with a dream. 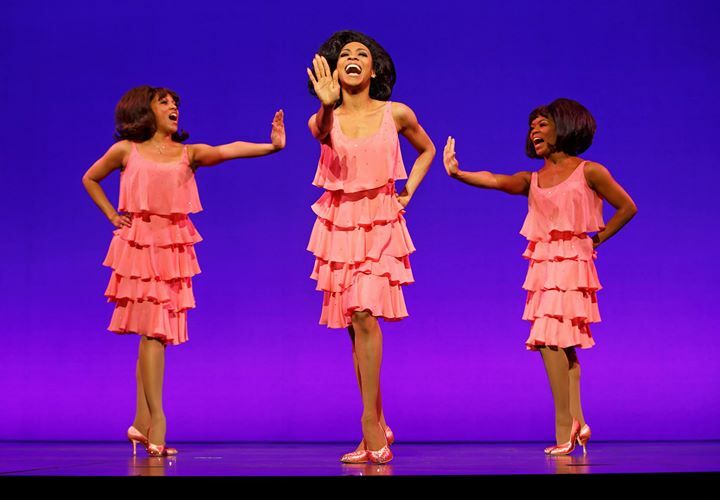 Allison Semmes is dynamic as the wispy vocal powerhouse Diana Ross (also a vet of Broadway and national tours). Providing many of the comic moments was Jesse Nager as iconic singer and friend to Gordy, Smokey Robinson (whose creds beyond Broadway also include singing with Mariah Carey, Shania Twain, and Patti Labelle). Jarran Muse as Marvin Gaye did a tremendous job channeling the celebrated vocalist. And a virtual standing ovation goes to Leon Outlaw, Jr. who played multiple roles including Young Berry Gordy, Young Stevie Wonder, and Young Michael Jackson. This young man is destined to have the world at his feet – it was as if he became Jackson right before our eyes. His voice and dance moves were beyond exceptional; his command of the stage as he fronted the legendary Jackson Five was stupefying. Motown was directed expertly by Charles Randolph-Wright. This monster performance captured the feeling of the time through not only song, but through movement and costume, choreographed by Patricia Wilcox and Warren Adams (assisted by Brian H. Brooks) with costume design by Esosa and hair and wig design by Charles C. LaPointe. The remarkable scenic design was executed by David Korins, with lighting by Natasha Katz, and sound by Peter Hylenski, and production design by Daniel Brodie. And the entire production couldn’t have been possible without the music – music supervision and arrangements by Ethan Popp, orchestrations by Popp and Bryan Crook, with musical direction/conducting by Darryl Archibald and dance arrangements by Zane Mark. 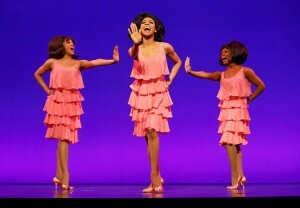 Even if your only skills are in chair dancing and lip syncing, if you love the Motown sound (and who doesn’t? ), The Bushnell has it for you – but it’s there just until March 27, so don’t wait!